Aussie Natural > Blog > What’s really in our tap water? Your tap water can contain a range of contaminants from a number of sources. Some of these contaminants can have an adverse effect on the look, smell and taste of your drinking water and others can potentially have more harmful effects on your health and on your appliances. Boiling tap water does not purify the water, it only kills all the existing bacteria, while the other pollutants remain along with the dead bacteria. So you still have the dirt, chemicals, heavy metals, bad taste and odour in concentrated form. There are many ways that pollutants from the natural environment can find their way into our water supply. This can happen by leeching into our groundwater, the erosion of natural deposits, surface run-off and rain. Dust, smoke and poisons from industrial facilities, pesticides and herbicides from farming and residential gardening and even animal waste can all contaminate your drinking water. Fertilisers and nitrates can come in run-off from crop fertilisers as well as animal and industrial waste. Nitrates are highly leachable and are extremely dangerous for children under three months old. 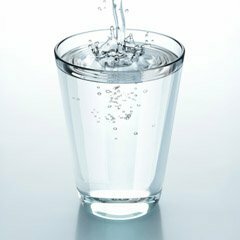 Calcium and magnesium are natural minerals found in our water supply particularly as we increase our use of groundwater. They are key contributors to “hard water” which can cause scale in heating appliances leading to increased corrosion. The Water Authority is required to treat our water supply with a range of chemicals in order to comply with the relevant regulations. Chlorine is used as a disinfectant to remove potentially dangerous bacteria and other micro-organisms. However, chlorine is one of the major causes of objectionable taste, smell and odour in our drinking water. Recently, chlorine has been identified as a potential carcinogen. Fluoride is added to protect against dental decay particularly in young children. Aluminium is added to our water supply to act as a flocculent, ironically to make the water look clearer. As the water travels from the treatment plants to your house through a network of pipes, these pipes can contain a range of contaminants which may enter our water supply. Dirt, rust, slime, sand and mud can build up over a number of years and cause the water to become dirty. They can be particularly prevalent when pipes are accidentally broken or accessed for repairs and maintenance. Copper and Lead can leach into the water supply from the copper pipes in your house and they have been identified as particularly dangerous to health. Finally, there are a number of hard shelled protozoa which are resistant to chlorine disinfection. Cryptosporidium and Giardia have been discovered in domestic water supplies in Australia and they can cause immediate health problems if ingested. As you can see there are many, many potential contaminants to your tap water that put your health at risk. Here at Aussie Natural our water is drawn directly from natural springs in the Darling Ranges and then passed through the most advanced spring water micro-filtration system before it is bottled. It is some of the purest and contaminate-free water available and so easily accessible when you get one of state of the art water coolers in your home! Rent a water cooler from us at Aussie Natural and you are guaranteed to be looked after in the proper W.A way. All water cooler maintenance is covered by us free of charge for the life of your rental.